At Hospice of the Golden Isles, we are proud to offer our patients and families the highest quality care, governed by our expert team of hospice professionals. Karen Brubaker Miller has worked in the Hospice field since 1994. She served as Administrator of United Hospice in Atlanta and was promoted to Regional Director then Director of Professional Services, overseeing clinical quality of care in multiple hospice branch locations. Karen worked as an independent hospice consultant for several years. In 2006, she became the Quality Assurance Director for Hospice of the Golden Isles and helped open Georgia’s first freestanding hospice residential facility, the Jolley House, at Hospice of the Golden Isles. Karen was appointed as Chief Executive Officer of Hospice of the Golden Isles in 2007. She is a past President of the Georgia Hospice and Palliative Care Organization's Board of Directors (2012-2014). Jamie Burriss is the Chief Financial Officer for Hospice of the Golden Isles and joined the organization in 2017. She is a native of Michigan and holds a Bachelor's of Science degree with a major in Criminal Justice, with minors in Substance Abuse Counseling and Business Administration from Northern Michigan University. After moving to Georgia in 2004, she decided to begin working on another degree. She holds a Master's of Business Administration with a concentration in Accounting from Brenau University. Jamie has an extensive background in finance, marketing, business management, and providing service excellence to employees, patients, and the families. Bringing over twelve years of experience to HGI, she most recently served as Business Office Director and Service Excellence Facilitator at St. Simons By the Sea. Prior to, she was employed as the Director of Accounting with Morningstar Children and Family Services. Though in a business role, Jamie strives to be involved in helping the patients and their families know that they are loved and cared for. She is eager to be back in the community with a local non-profit agency. Dr. John Shaner has served as Hospice of the Golden Isles full-time Physician Chief Medical Officer since 2010. Double-board certified in Hospice & Palliative Medicine and Internal Medicine, Dr. Shaner brings over 35 years of experience to our hospice and community. Dr. Shaner is committed to providing expert pain and symptom management for patients to promote comfort and quality of life. Dr. Shaner was Board Certified in Geriatrics from 1994-2004 but did not recertify in order to pursue Hospice and Palliative Medicine Boards. As a former Nursing Home Medical Director, he is knowledgeable about the nursing care regulations and how they interface with hospice to achieve optimal care and compliance. Gail Shiroky is a native of Glynn County. She is a graduate of Glynn Academy and received her Nursing Degree from Brunswick College in 1991. Gail earned her Certified Hospice and Palliative Nursing Certificate in December of 2011. She has been in her role as Home Team Patient Care Coordinator for 9 years. During this time, she earned her Bachelor’s Degree in Nursing from the University of Texas at Arlington. Gail has been in nursing for over 24 years. This diverse background includes time working in an Intensive Care Unit, in Home Infusion Therapy, as a Special Procedures RN, as a Hematology/Oncology RN and as a Radiation Nurse. In addition, she has experience as an OB/GYN nurse. Tarsia Palmer joined Hospice of the Golden Isles in 2011. She graduated in 1995 from Brunswick College with a certificate in Practical Nursing, then from Coastal Georgia Community College in 1997 with an Associate Degree in Nursing and then from Georgia Southern University in 2011 with her RN-BSN degree. Tarsia is also a certified Hospice and Palliative Care Nurse. Prior to joining the team at Hospice of the Golden Isles, Tarsia spent 9 years as an Emergency Department nurse at Southeast Georgia Health System and Candler/St. Joseph's Health System - Candler Campus in Savannah. She also worked as a nurse at the McIntosh County Youth Detention Center and the McIntosh County School System. Patty brings almost 30 years of television news and media experience to the marketing team at HGI. Her goal is to not only raise more awareness about the amazing work of HGI and the service it provides to the community, but to find new ways to help fund this non-profit agency so more people can benefit from its caring support. Patty received a Broadcast News degree from the Henry W. Grady College of Journalism at the University of Georgia. She has earned numerous community service awards for her volunteer with non-profits such as HEAL (Past President), PACT (Founder and Past President). Patty’s rescue dog, Dexter, is certified as a therapy dog with Therapy Dog International and a regular (and popular!) volunteer with HGI. Monica Rich joined Hospice of the Golden Isles in 2015 with 26 years of experience in ministry and Social Work. She is a licensed Social Worker who received a B.A. in Sociology from Clemson University and a Masters of Social Work from Carver School of Social Work at Southern Baptist Theological Seminary. Monica has been a Hospice Social Worker and Bereavement Counselor, a Minister of Pastoral Care in the Methodist Church and a Home Health Social Worker. She began her career as a liaison to families in crisis in ICU and the emergency room in Memphis, TN. Monica and her family lived in Asia for 7 years where she and her husband were project coordinators for Cooperative Baptist Fellowship's humanitarian efforts in Southern Thailand. Monica also served as a project Coordinator for a tornado disaster relief agency in Eagle Pass, TX where she helped families in crisis. After a personal experience with Hospice of the Golden Isles (HGI), Amy found a way to "give back" by joining the board of the Auxiliary of HGI in 2009. In her two years as fundraising chair, the organization raised more than $150,000 for HGI. This was noticed by the CEO of HGI and Amy jokes that she volunteered her way into a full-time position at the hospice. 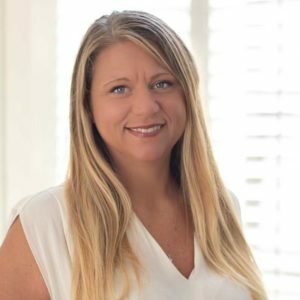 Amy has always been involved in the community and has been on the board of directors for the Brunswick-Golden Isles Chamber of Commerce since 2013 and as Vice Chair of the Communications and Special Projects since 2014. Amy has a solid 20-year background in sales, marketing and community relations and used these skills to educate the community about the services available with our incomparable non-profit hospice.